The river Danube is the great river of Eastern Europe. From its source in the Black Forest region of south west Germany it passes through great cities such as Vienna, Budapest and Belgrade before defining the border between Romania and Bulgaria, curves up in an arc, running north east, before splitting into three channels and draining into the Black Sea. Between these three channels lies the vast labyrinth of waterways and lakes which make up the Danube Delta. Most of the Delta is in Romanian territory, with a small north eastern corner in the Ukraine. The north channel borders on Moldova. The local population is sparse but people are very friendly, and relatively used to tourism. 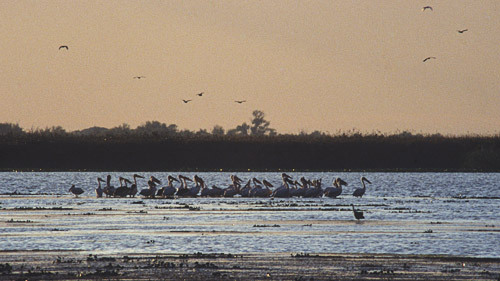 The Delta is an absolute paradise for bird watchers, photographers and nature lovers of all kinds. It is home, during the summer months, to over 90% of Europe’s pelican population, accounting for something between 3000 and 5000 birds (estimates seem to vary widely and the population appears to fluctuate quite a lot). The pelicans are the star attraction, but there are also very healthy populations of various kinds of heron, ibis, kingfishers, and a whole host of winged creatures I could not put a name to. 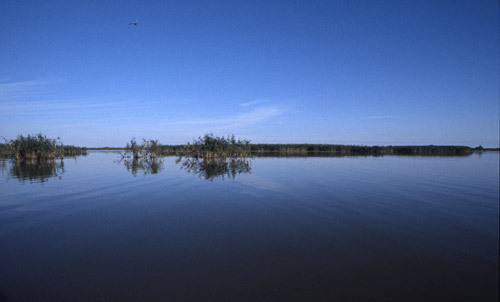 Large areas of the Delta are protected nature reserves, with graded levels of access. Some areas are formally completely off-limits, although you could probably find a boatman to take you there. It is really up to the individual to decide whether or not to respect the work of conservationists who are attempting, successfully it seems, to restore the ravages of the Ceaucescu regime’s attempt to turn the delta into farmland. On a balanced note - whilst this attempt is generally seen as the demented work of a megalomaniac, it is worth remembering that vast areas of France (Camargue), Italy (Po Delta), England (East Anglia) and the Netherlands (most of it) suffered the same fate, in these cases irreversibly. The Delta can only really be visited by boat. Whilst organized (and expensive) tours can be found departing from the city of Tulcea, to see the real Delta you need to engage the services of a knowledgeable local boatman. A good place to start is the village of Murighiol (Independenta on older maps) which can easily be reached by road (note that “easy” in Romania means that you don’t absolutely need a 4WD!). I had the significant advantage of traveling with my girlfriend who is a native Romanian. Although Romanians are on average notably well educated and informed, very few speak much English. You’ll have better luck with French or Russian (although the latter might not be very welcome), but otherwise it is advisable to find a local guide. We spent four days exploring the waterways and lakes in the vicinity of Lake Uzlina, and spent two days wild camping on the bank of a small channel. Boats are really the only way to get near to the wildlife. It is not easy to make much progress on land in the Delta, but after some hacking through reed beds we managed to reach a very nice evening viewpoint over the lake, where a group of about 50 pelicans where resting. Just as the sun was setting they suddenly took flight and headed off, who knows where to - a remarkable sight. Due to the very low water levels this summer it was perhaps easier than usual to get around on foot, but even so, it is very heavy going, there are no paths at all, and there is plentiful ooze, quicksand, venomous snakes and wild pigs to deal with. Later we took the ferry along the southern channel, the Bratul Sfintu Gheorghe (Saint George Arm) to the coastal village of Sfintu Gheorghe. From there we were able to approach (but not land on) the protected island of Sahalin, where we saw a small group of the rarer curly pelicans. We later explored the lake complex inland of Sfintu Gheorghe, between the Saint George and Sulina Arms. In this area vast reed beds dominate, the home to countless grey herons. We didn’t venture as far as Bratul Chilia, which marks the border with Ukraine and requires special permits to travel on. Unfortunately I am no wildlife photographer. I have very little experience of photographing small moving targets, and have only quite heavy manual focus equipment. Obviously on a small boat (and there is no other kind, except smaller boats) handholding is the only option. I managed reasonably well with a Canon FD 300mm F4, although the very long travel of the focusing ring was sometimes awkward. Using mainly Provia 400F, normally rated at 800ASA, I generally managed to get shutter speeds around 1/500th to 1/1000th. Experiments with an old 2x teleconverter were, well, mixed. In closer quarters I could use the FD 135mm F2.0, which ended up being my most used lens for both wildlife and landscape. Other lens which I took along and used at times were the FD 50mm F1.2L and FD 20-35mm F4L. Exposures can be quite challenging, and rapidly compensating for shifting light levels whilst focusing the 300mm kept me very busy. Although this was the first time I really felt that a DSLR would have been better (for instant feedback), it should be said that digital photographers will not find this an easy environment to work in. Obviously opportunities for battery charging are very limited. Although all houses in villages have electricity, it is sometimes provided by generator and erratic, and power points are few and far between. When you do find one, it will provide 220V AC through German-type 2 pin sockets. A better bet for dedicated digital photographers would be to say at one of the few modern hotels, such as the Hotel Egret in Dunavatu de Jos (but to get there you will need a 4WD!). Avoid the ghastly and expensive Hotel Cormoran whatever it says on the web. The Pelican complex in Murighiol is also not highly recommended. Staying in private accommodation - often with a small house to yourselves - will cost a few euros per person and will be a pleasant experience. A hotel will cost quite a lot more. 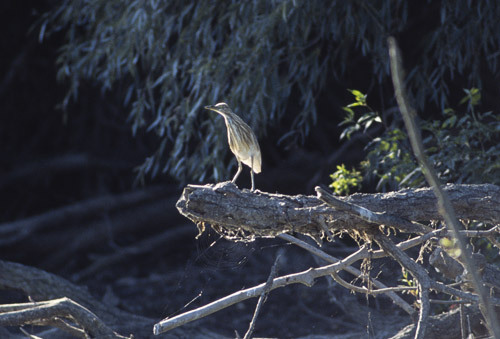 he Danube Delta is a remarkable location for wildlife photography, as well as unique place to visit. The pelicans in particular are wonderful, a close second to penguins for sheer entertainment value. The best times to go are between May and September. 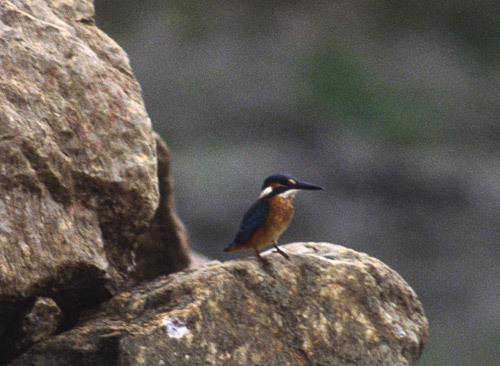 I certainly hope to be going back soon… with an autofocus SLR this time!